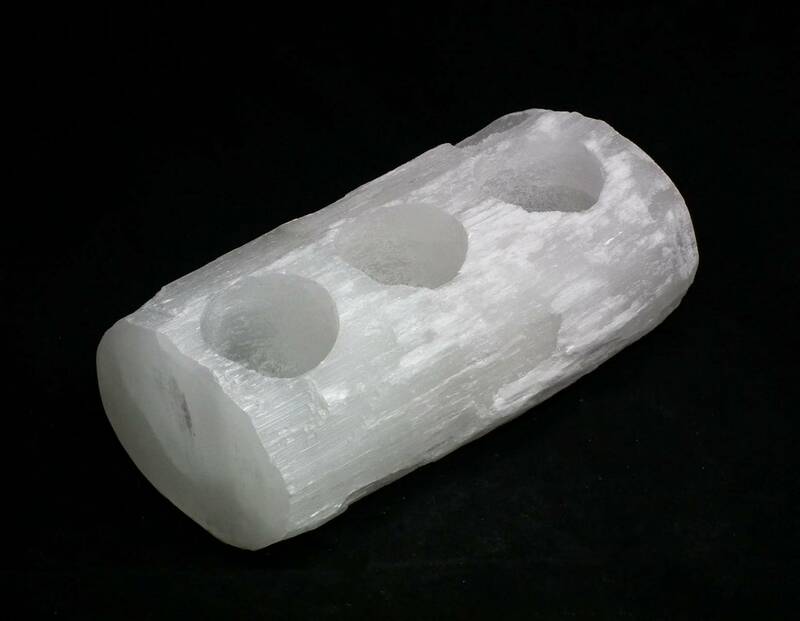 Selenite Log Tea Light Holder with three holes, measuring 170MM approximately. Unfortunately, we are out of stock of this item. Click here to get in touch and see if we can order another. 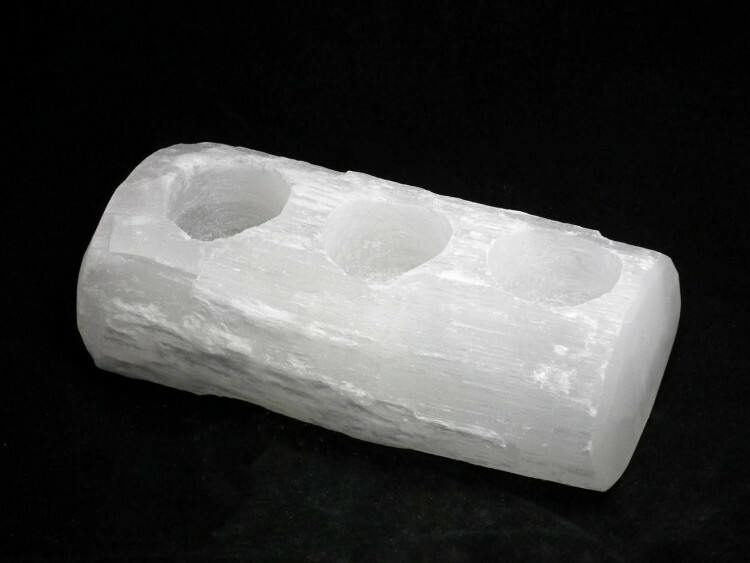 These Selenite log tea light holders are an eye catcher for sure – a large piece of rough Selenite with three holes drilled into it. 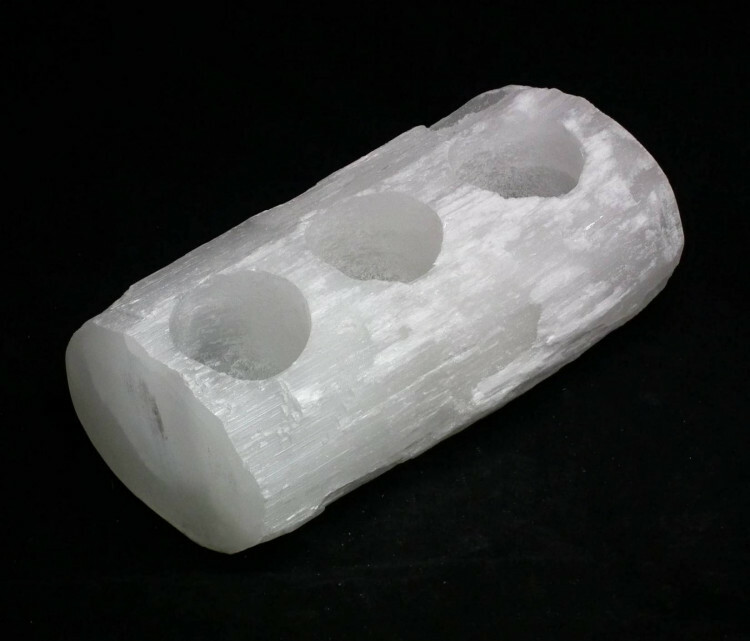 These are a rough ‘log’ of Selenite and weigh anywhere from 1-2 KG each; the one pictured was around 1.4KG and 17CM long. One of the main reasons Selenite is used is because of its interesting fibre optic effects when well lit. Light shines along and through it, almost like fibre optic cabling. It is gorgeous, either with a regular tea light or a coloured LED tea light. I personally think the LED lights are a better option, as you can avoid risking getting wax on the crystal. It is certainly easier to put them in than a lit tea light. For a full list of all our gemstone tea light holders, please see our main ‘tea light holder’ page. For more information about Selenite, and a full list of all related products, please see our main ‘Selenite’ page.